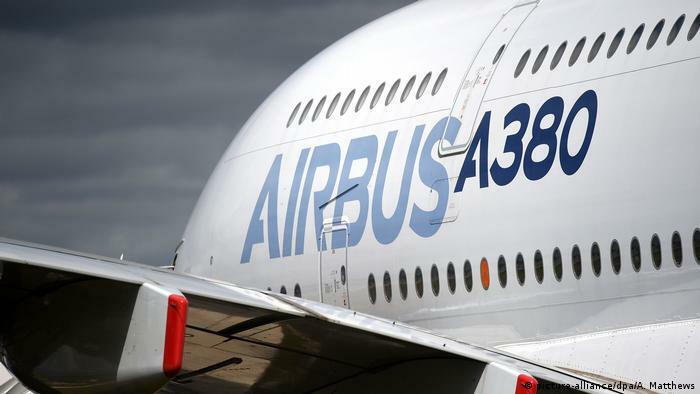 A week ago, Australia’s Qantas canceled their order for eight Airbus A380 superjumbos. 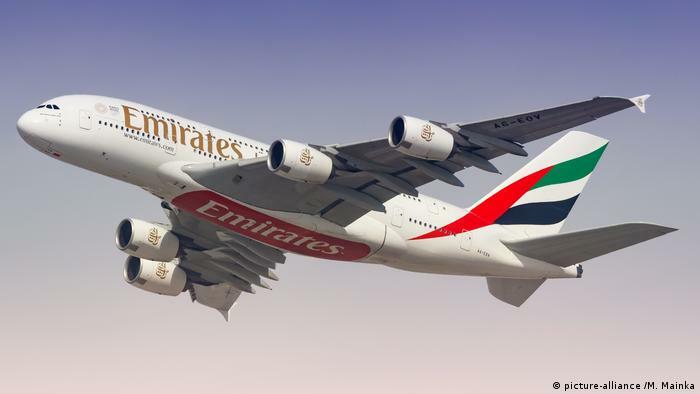 But the real nail in the coffin came from the Persian Gulf when Emirates airline, the largest A380 customer, told the manufacture that it would reduce its order from 162 to 123 aircraft. They would only buy 14 more and that was it. In the end it was a commercial decision to stop building the prestige plane; in another three years it will all be history. Naturally it won’t all be over tomorrow or even in three years. The giant flying bird won’t suddenly disappear from the sky. In fact it will attract the attention of passengers at airports for many years to come just like the famed Boeing 747 jumbo jet still does. Yet fascination is one thing, economics another. The Airbus project was controversial from the start. Heads have rolled over the years, and the European project almost fell apart because of such simple things like cables that were too short. But in the 1990s many believed in the giant plane, because it was becoming clear that more and more people would be flying. Sure, the number of passengers is steadily increasing, but people are not constantly flying back and forth between the big hubs like New York and Singapore. And making an airport fit for the A380 was a costly affair for operators. In the end only a few airports now have the capacity to even handle the giant plane. For airlines though other cost factors played a role. 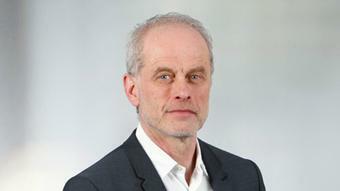 First there is the purchase price of around €381 million ($430 million). Despite the fact that airlines were usually able to get a discount on the sticker price, the A380 was never a bargain. Then there are the expensive maintenance and running costs. The four engines eat up a ton of kerosene, a fuel that has gone up in prince. In reality, it only really paid off when the plane was filled to capacity with paying passengers. Airbus did have the idea to make a new more economical model of the plane with only two engines, but that would have devoured another €10 billion in development costs. The idea was dropped. Surely everyone saw problems coming down the road. Yet in this case you have to give it to Airbus’ big competitor Boeing. They were smarter and learned to listen better to their customers. They decided against a continuation of their jumbo jet program and instead focused production on a number of smaller, more economical aircraft with great comfort for long-haul passengers. Thus the Dreamliner, Boeing’s 787, became a bestseller. Airbus has since followed in their footsteps and is trying to hold their own with the Airbus A350. So far there is a great demand for this plane. Just like for their medium-range model A320. These jets are now the bread-and-butter business of the European group. Reaction from workers to the A380’s demise has been muted. 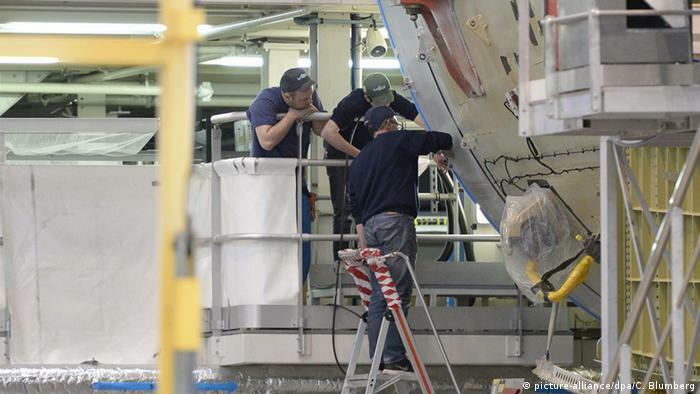 They have enough work since they already went through big cuts a year ago when Airbus slashed around 4,000 jobs due to the sharp decline in A380 sales. The good news is that things will continue for Airbus, and a lot has been learned from the A380 project. Most importantly the weaknesses of a project with such a complicated supply chain with different production locations and complex logistics have come into the spotlight. As has the fact that you have to react early to customers’ wishes. Ironically, since the end of the A380 has already been hinted at for some time, the share price has had time to adjust. Since the beginning of the year, the stock has increased by 30 percent. Sometimes flights of fancy and crash landings are closer to each other than we think. When the A380 was introduced, it put almost every other competitor on the airfield in the shadows — literally. With a length of 72.7 meters (238 feet) the plane has a wingspan of 79.8 meters and is over 24 meters tall. 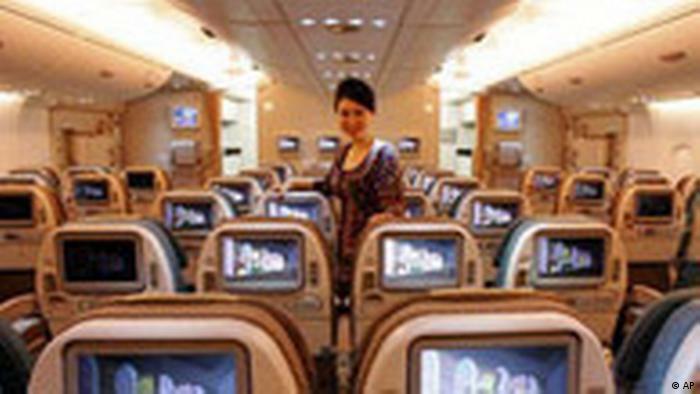 The superjumbo can carry more than 500 passengers in a three-class configuration, which is an increase of more than 100 passengers over its rival, Boeing’s 747. Airbus’ new aircraft boasts two passenger decks and first-class suites with proper beds. In an all-economy configuration, the plane could carry more than 850 passengers. The A380 was hailed for its roominess, large windows, high ceilings and quieter engines. 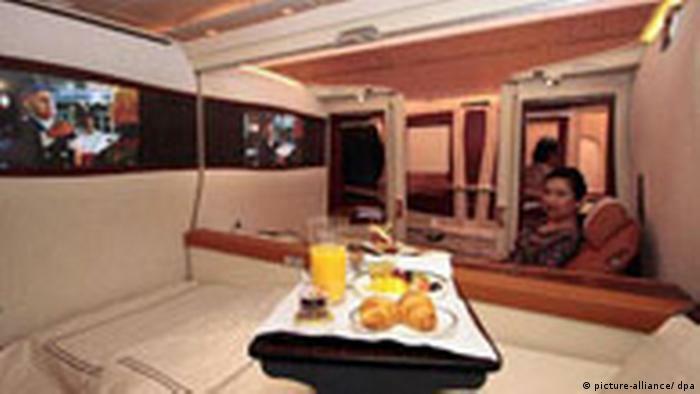 Some carriers put in showers, lounges, duty free shops and bars on both decks, and passengers could choose to fly in their own private suite. In 2011 and 2012 a number of technical problems with the A380 were reported. Qantas, Emirates and Singapore Airlines all reported A380 flights that had to make emergency landings due to engine issues. 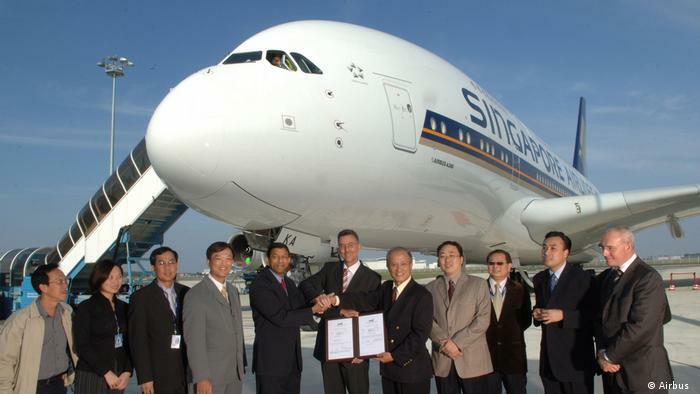 In January 2012, Qantas and Singapore Airlines found cracks in the wings of their A380s. Investigations found they were caused by material and manufacturing problems and it cost €263 million to fix. Sadly, the A380’s major selling point turned out to be its biggest downfall, with airlines saying they were unable to make the flight profitable if they did not sell every seat on the plane. 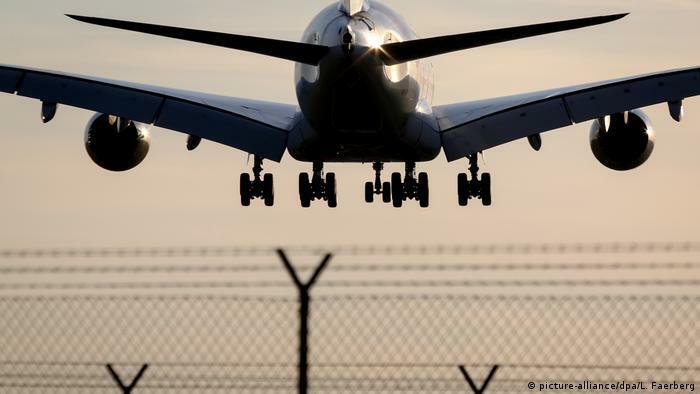 “It’s an aircraft that frightens airline CFOs; the risk of failing to sell so many seats is just too high,” one aerospace industry source said. In January and February 2019, both loyal customer Emirates and Australian airline Qantas cancelled orders for the A380. Emirates instead decided to order some smaller planes from Airbus while Qantas withdrew its order for the purchase of eight A380s. After struggling to sell the giant planes, European plane manufacturer Airbus announced it would stop making its superjumbo A380 in 2021 due to lack of customers, bringing the life of the world’s biggest passenger jet and one of the aviation industry’s most ambitious and most troubled endeavors to an end.